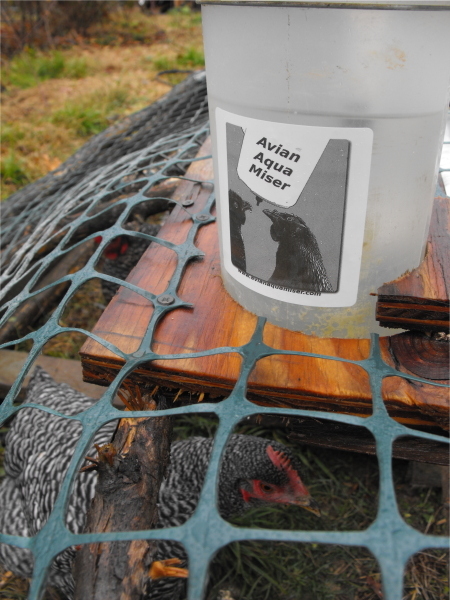 We are thrilled with how the new labels turned out for the automatic chicken waterer. Anna did a great job on the drawing. It's good to know someone who knows someone in the label business. Thanks, Jayne. The new label is great. Good job on the design, Anna. Makes it look more professional. Thank you! I like them so much, I'm having a hard time refraining from plastering them on my computer, my notebooks, and everywhere else around the house.